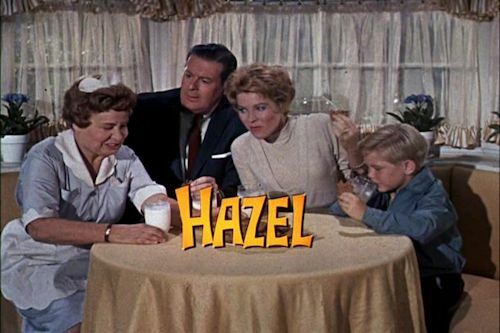 Antenna TV will air a marathon of the classic sitcom Hazel this Mother's Day! The marathon titled "Maid-For-A-Day Marathon with Hazel" airs Sunday, May 12, 2013 on Mother's Day from 9am-3am ET. That is 16 hours of non-stop sitcom fun with 32 glorious episodes. The marathon will begin with the very first episode and will continue with episodes centering on Hazel herself. 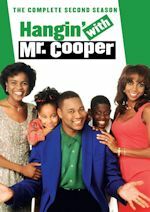 Episodes are airing in the following order: "Hazel and the Playground," "A Matter of Principle," "What'll We Watch Tonight?," "Winter Wonderland," "Hazel's Secret Wish," "Heat Wave," "Hazel's Day," "Hazel's Cousin," "The Natural Athlete," "New Man in Town," "Hazel and the Lovebirds," "The Sunshine Girls Quartette," "Hazel and the Stockholders Meeting," "Hazel's Day Off," "Hazel's Navy Blue Tug-Boats," "Hazel's Luck," "Maid of the Month," "Cheerin' Up Mr. B," "The Vanishing Hero," "Call Me Harve," "The Retiring Milkman," "Hazel and the Halfback," "Hazel and the Model T," "The Fashion Show," "George's Ordeal," "Democracy at Work," "Never Trouble Trouble," "The Flagpole," "Mind Your Own Business," "Mixup on Marshall Road," "To Build or Not to Build," "Stop Rocking Our Reception," "Hazel's Day in Court," "George's Man Friday," "Who's in Charge Here?" and "My Son, the Sheepdog." You can watch Hazel regularly on Antenna TV every weekday at 3:00pm & 3:30pm ET. 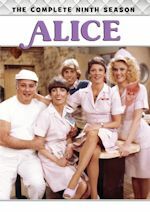 The sitcom, based upon the Saturday Evening Post comic strip by Ted Key, follows Hazel (Shirley Booth) and her everyday dealings with the Baxter family, George (Don DeFore), Dorothy (Whitney Blake), and Harold (Bobby Buntrock). The series aired from 1961-66 and lasted five seasons and 154 total episodes. Stay with us for continued updates on all things Antenna TV and Hazel! 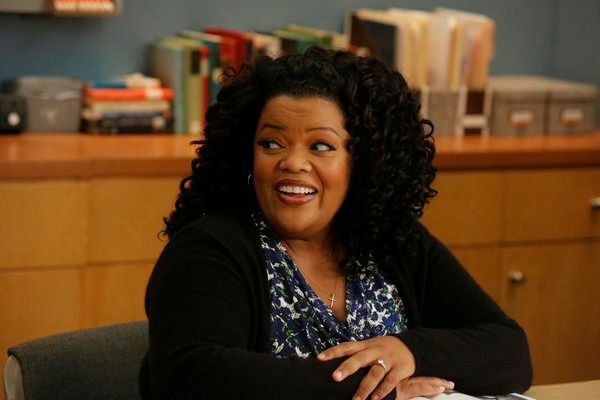 NBC's Thursday night comedy that stars Joel McHale airs Thursdays at 8|7c and we have just watched the next episode that airs tonight (May 2). In the episode airing tonight, "Heroic Origins," Abed (Danny Pudi), becomes convinced that the study group was destined to meet at Greendale and pieces together everyone’s past – revealing that their lives have been intertwined for years. Meanwhile, Chang (Ken Jeong) plots to destroy Greendale once and for all. This episode of Community may very well be one of the craziest they've ever done. Sure, it doesn't stage a zombie attack or a paintball war, but it actually suggests that the study group was "meant" to meet each other and that their paths crossed before they met at Greendale. Community may have no problem turning its characters into video game characters or stop-motion figures for a week, but it always found a way to somehow make all of this seem believable within its universe. 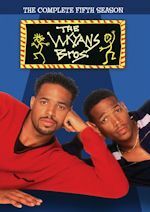 Having the group's fate be connected in the way that this episode suggests it is, though, stretches credibility even for this show. It doesn't feel organic or carefully planned out- it feels like the show forcing its characters into a back-story that hadn't even been touched upon previously just because they thought it'd make an entertaining episode. NBC's Thursday night comedy that stars Amy Poehler airs Thursdays at 9:30pm and we have just watched the season finale that airs tonight (May 2). 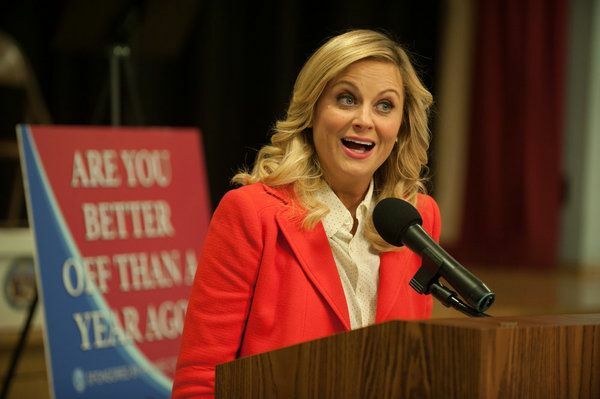 In the episode airing tonight, "Are You Better Off?," Leslie (Amy Poehler) celebrates her first year as a city councilor. A surprise discovery leads Andy (Chris Pratt) to call the only man he knows who can help with the investigation: retired Special Agent Burt Macklin. Meanwhile, April (Aubrey Plaza) gets some life-changing news, and Tom (Aziz Ansari) debates a big business opportunity. In politics, the following question often comes up: "Are you better off today than you were before?" 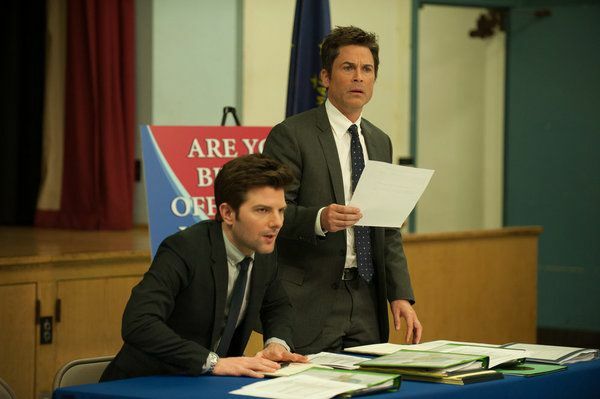 That is the theme of the latest episode of Parks & Recreation, where Leslie Knope is ready to get an assessment of her first year on the city council. She expects nothing but positive feedback, but instead, she is confronted with those whom she has angered over the past year (along with some flashbacks), and the sudden attack make it seem as if things really can't get worse... that is, until they do. 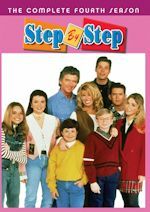 Meanwhile, Andy finds a positive pregnancy test while digging through the garbage at Ron's cabin and is determined to find out who it belongs to (and along the way, he finds out another surprise that has a significant effect upon him). But that isn't all... Tom faces a big decision that could make him money instantly, and has to decide what to do. It is an episode full of questions, and all of them may or may not be answered in 20 minutes.